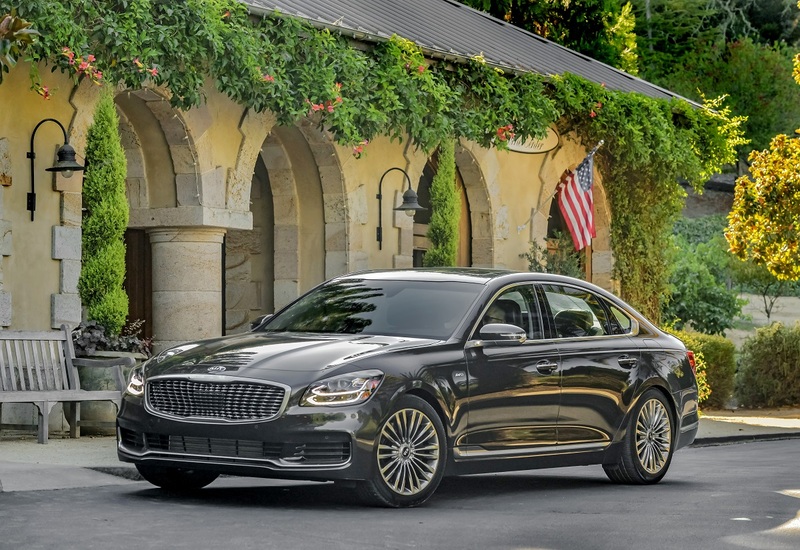 Kia isn’t a brand known for making luxury cars, yet that’s exactly the aim with the 2019 Kia K900. This is a full-size sedan with the appeal of more upscale brands without the exorbitant pricing. It’s not as affordable as the rest of the Kia lineup, but it still delivers a luxury-light experience for less than you’d pay for competitive vehicles. This second-generation of Kia’s luxury sedan comes in a single trim with a starting price of $59,900. That’s a good bit more than most people expect to pay for a Kia, but the K900 isn’t your avearge Kia. 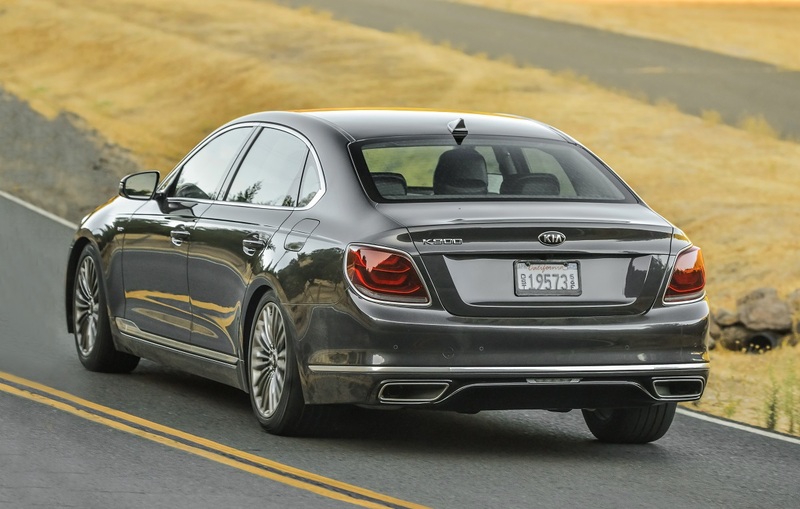 Looking for a new or used Kia K900? Check out BestRide’s listing search here. The exterior gets a facelift that, while not dramatic, moves the K900 forward, giving it a more appealing, modern design. It looks less like just another luxury sedan and has a bit more personality while retaining its sense of understated elegance. 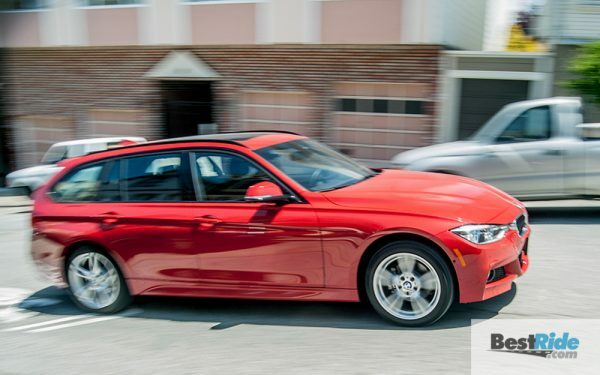 There are 19-inch alloy wheels, duplex LED projection headlights, LED positioning lamps and daytime running lights, heated and power-folding outside mirrors, and even puddle lamps to guide you to the car at night. It’s not flashy, but it is attractive. Inside, it’s all about comfort, which is exactly what you want in a luxury car. There’s a standard power tilt and telescopic steering column, Nappa leather seating, and a 20-way power-adjustable driver’s seat that includes 4-way power lumbar, 2-way side bolster support, and seat extension. The front passenger gets a 16-way power adjustable seat with 4-way lumbar. Front seats are both heated and ventilated while rear passengers get heated outboard seats with the option for ventilation. There’s also a heated, leather-wrapped steering wheel. The interior of the Kia K900 is a comfortable place to be whether you’re behind the wheel or lounging in the rear seats. This is the kind of car that easily tackles long-distance trips and makes the morning commute less taxing. The comfortable interior is complemented by a smooth, quiet ride. No road or wind noise intrudes into the cabin making conversation between front and rear passengers easy. Bumps and dips in the road go unnoticed as does rougher pavement ensuring occupants are undisturbed. The biggest change for the new K900 is under the hood. Power now comes from a twin turbo 3.3-liter V6 engine with 365 horsepower and 376 lb-ft of torque paired to an 8-speed automatic transmission. This is the same engine found in the sporty Kia Stinger and it makes the K900 more responsive and more fun to drive. Now, this isn’t a sports car like the Stinger, so don’t be expecting that kind of experience. This is a big sedan so it’s not as quick, but it moves with strong acceleration that easily gets the K900 up to highway speeds. The transmission shifts smoothly and efficiently making good use of the engine’s power and adds to the overall ride experience. 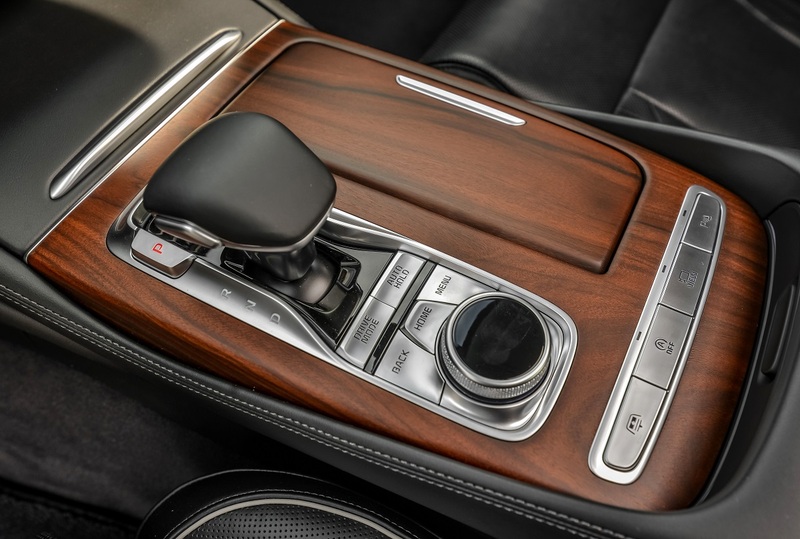 There are also steering wheel mounted paddle shifters should you want to take control of the process yourself and there are five drive modes – comfort, eco, sport, custom, and smart – that tailor the K900’s drive to your personal preferences. 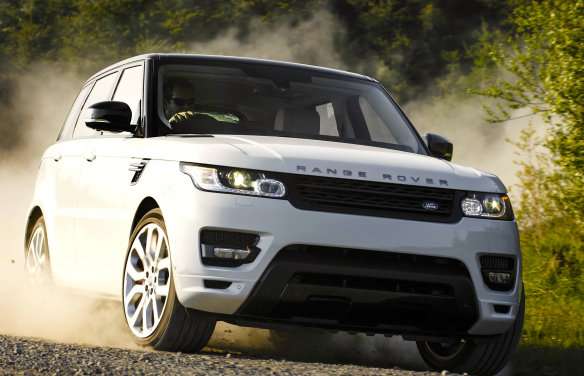 All-wheel drive is standard along with dynamic torque vectoring. This improves handling by distributing torque to the front or rear wheels and even splitting it from side to side depending on which wheels are slipping. 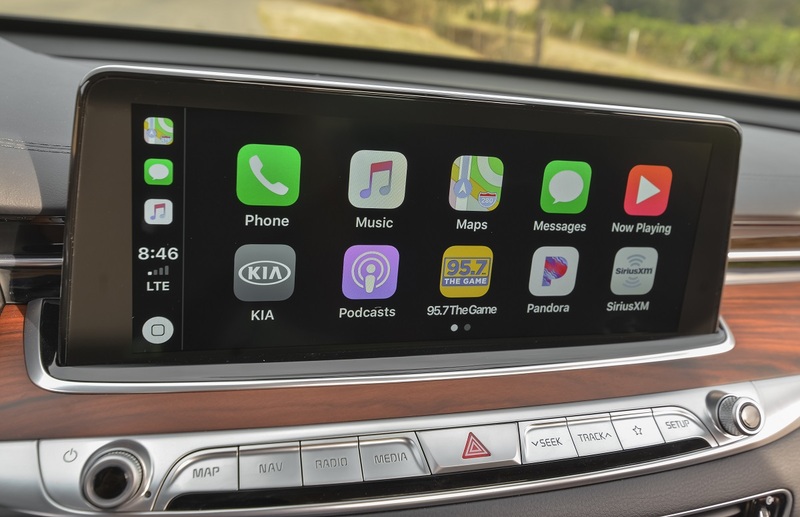 Infotainment features a 12.3-inch color touchscreen display with navigation, AM/FM, HD Radio, satellite radio, and Bluetooth connectivity. There’s also a 900-watt, 17-speaker Lexicon Logic7 audio system that fills the cabin with rich sound. Wireless charging is standard up front and there’s even the option to add it for rear seat passengers. When it comes to safety, the K900 is fully-featured. Rather than a modest suite of standard safety with extras available as a package, the K900 includes its long list of safety features standard. 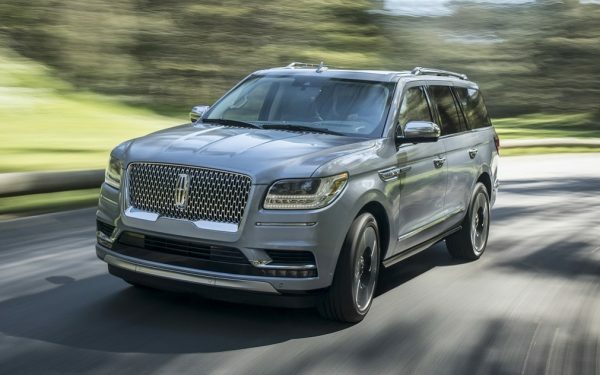 The list includes blind-spot warning and avoidance assist, forward collision warning and avoidance, rear cross-traffic collision warning and avoidance assist, safe exit assist, lane departure warning, lane keep assist, lane follow assist, and front and rear parking guidance. There’s also a blind-spot view monitor, driver attention warning, and high beam assist. 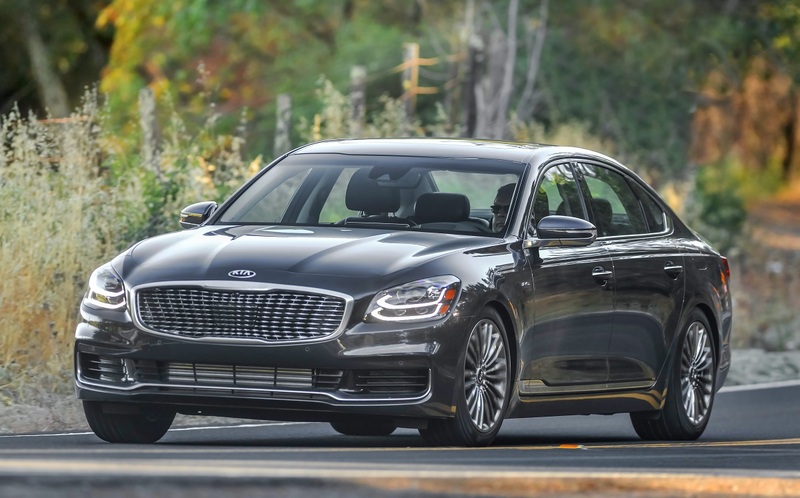 The 2019 Kia K900 isn’t what you’d expect from Kia. 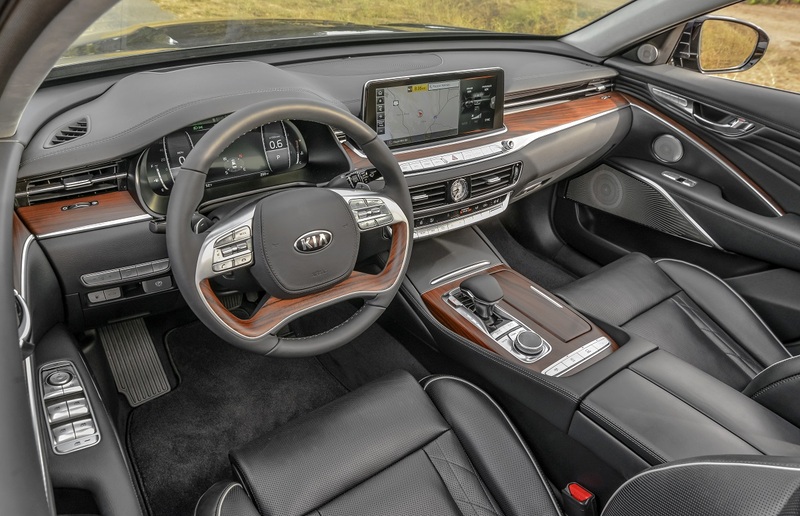 The Stinger proves the brand can make a sports car and the K900 proves it can also make a luxury car with the comfort, features, and power luxury shoppers demand.